Kate turns five next week, and we celebrated this past weekend with a roller skating party! The party pretty much ran itself (the best kind), and the only things I really had to do were make cupcakes and assemble some party favors. I got this idea from Pinterest, and I think it is just so darling (and so easy)! 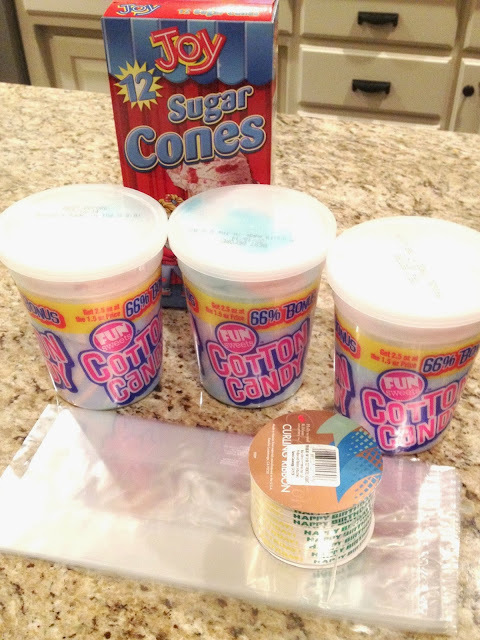 I purchased the cellophane party bags, the cotton candy, and the "Happy Birthday" curling ribbon at Dollar Tree. The sugar cones are from Walmart. We assembled 11 of these the morning of her party. 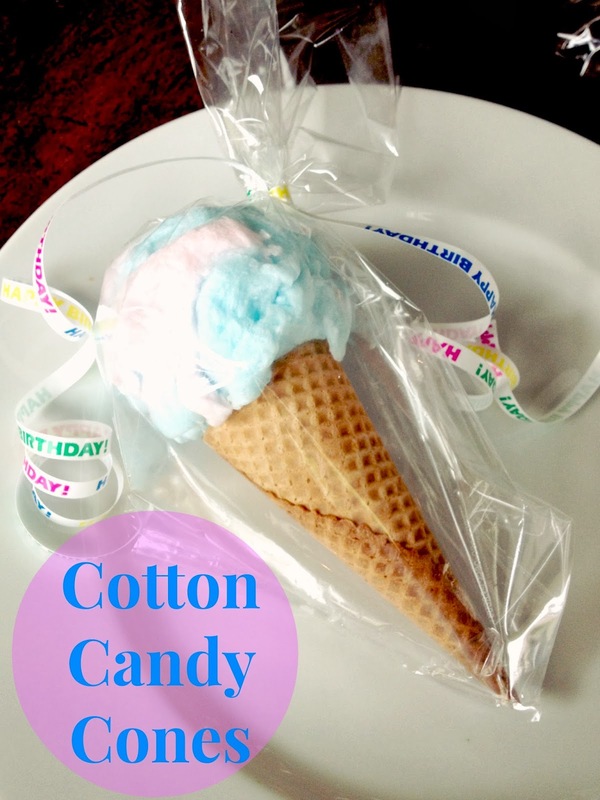 Simply grab a hunk of cotton candy, shape it onto a little ball and place on top of the cone. The cotton candy was falling off, so we just tied the bag tightly at the top so it was secured. It worked out perfectly! So easy! What a cute idea!! It looks amazing. Thanks so much for linking up to The DIY'ers!